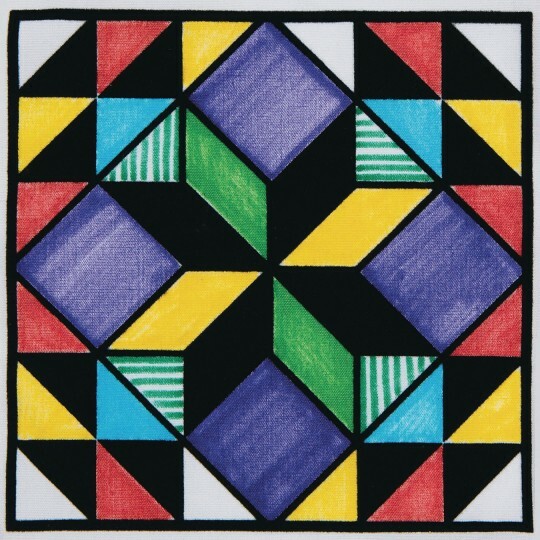 Work together to create a unique velvet quilt! 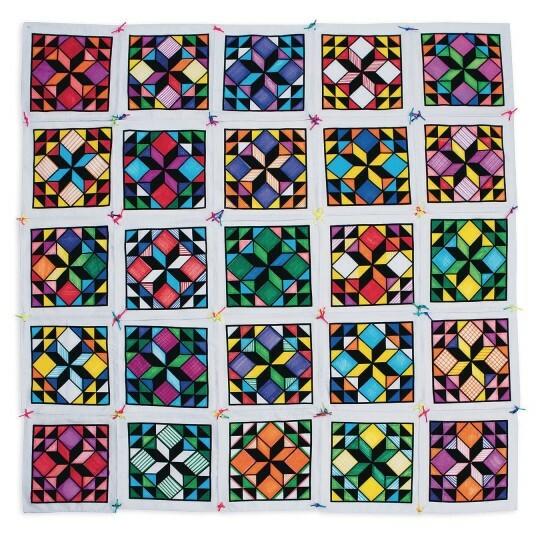 Learn about the history of quilting and the 9-patch quilt while working together to create a unique velvet quilt! 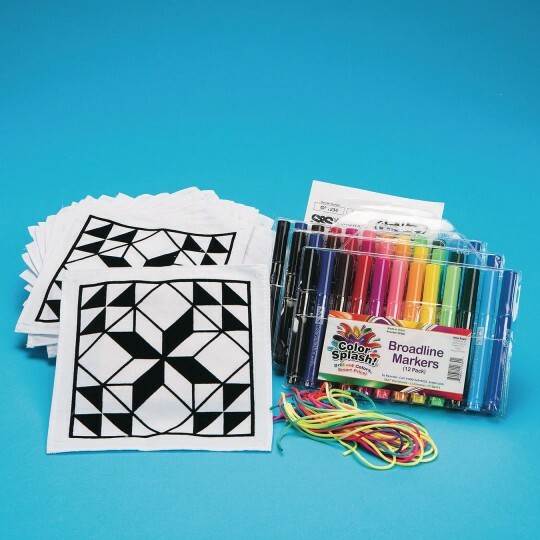 Color the 25, 8” squares with the included markers, then string together to create a beautiful wall hanging. All supplies and an Educraft® instruction guide included. 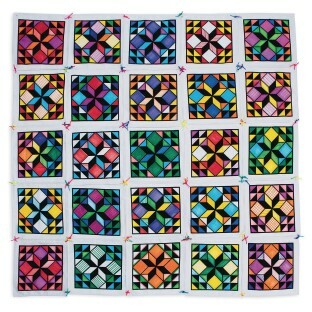 Fabric quilt squares are 65% polyester and 35% cotton with a velvet design applied. What a great craft kit for a therapeutic support group! We used this kit as a collaboration craft for a group of 18 adults and it was a huge hit! Being able to tie the pieces together to create a beautiful hanging quilt was even better. I will purchase this again in the future. PS we were worried that the markers would be cheap and dry up or run out quickly... not so they were better than the sharpies we purchased as back up! Thank you S S Worldwide! !